Our cat toys are made with strong and durable hemp fiber material and filled with organic catnip and are much appreciated by felines around the world! • Using our secret catnip blend developed over many years of feline testing makes our products far more fragrant than many others. 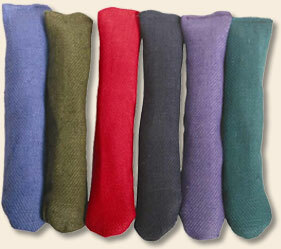 • Completely biodegradable, earth friendly, pet friendly… nothing but fun! Note: We now use food colorant to stamp our hemp mice face! Filled with potent organic catnip, Chase The Hemp Cat Tail is sure to bring a lot of fun to your cat. Watch him roll on his back and exercise at length with Chase The Hemp Cat Tail. we'll surprise you with a color! A favorite amongst cats everywhere! 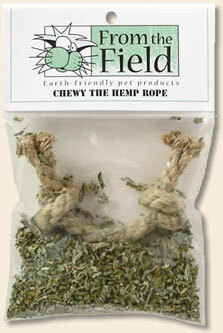 Our double knotted hemp ropes toy comes in a resealable bag and is marinated in potent all natural catnip. Cats can’t get enough of Billy Bob the Cork Ball. 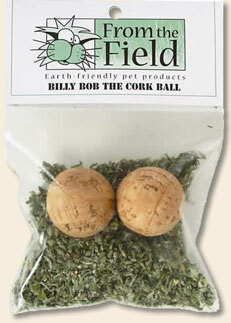 These all natural cork balls are packaged in a resealable bag and marinated in all natural potent catnip. Our deluxe gift kit is a must for every feline! 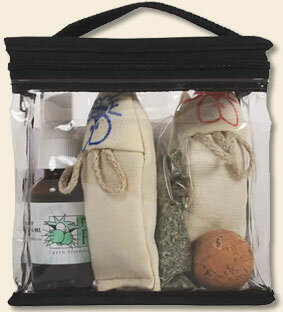 Available in a durable, reusable vinyl bag with handle and zipper. Contains: One Shelby the Mouse, one Shelby the Refillable Mouse, one Catnip Spray Bottle, one Cork Ball and a half ounce of Purrfect Potent Catnip Leaf and Flower. Without a doubt, the most potent catnip oil spray products on the market. 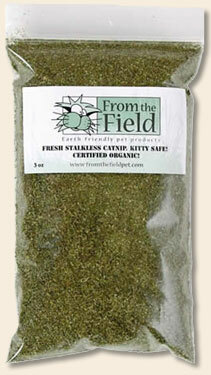 Made from essential oil extracted from our legendary catnip buds and distilled water. It can be used to rejuvenate old toys. © 2005 Animals Healing, Inc. All Rights Reserved.